The iPad can store textbooks, books, music, and thousands of types of apps for our students for school and pleasure. 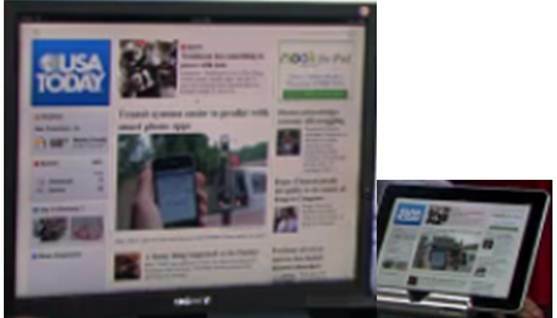 For low vision students, you can attach an external monitor to the iPad to enlarge everything so viewing is incredibly easy. Those inaccessible sites are no longer visually taxing as the child can see everything they need too depending on the size of the monitor the iPad is connected to. For blind students, hook a braille display so they can read any accessible text available. No, they still cannot see the images that will be in the textbooks or web, but they will be able to hear what is going on. If you have struggled in any way while using Office 2010 it is because you are not using compatibility mode. If your talking software is refusing to do what you want him to do, this lesson will help you take control. Using this mode permanently will enable you to do what you could not before with ease. This audio/visual lesson will get you going. This FREE download will get you on your way to understanding more clearly how to control your talking software. Learn how to take Control of JAWS and make him do what you want him to do. Do you get lost? Learn the tricks to find out where you are at in general and specifically and get him moving in the direction you desire. Learn how to move around and find everything you need on your desktop. Learn the quick commands already built into your Windows 7 system to open programs quickly. Learn where to position JAWS to access him easily and tell him the configs you need for the type of computer you are using. You will have peace and ease of mind after you finish this lesson, knowing you CAN control him whenever you want. 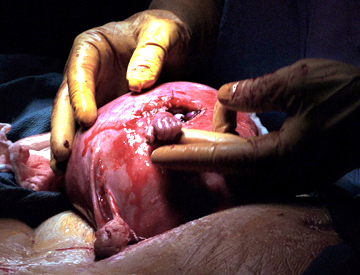 This picture of a 21-week fetus hand reaching up through an incision in its mother's uterus to grab the finger of the surgeon who had just performed a life-saving procedure appeared in the November 16 edition of The National Enquirer. It should be "The Picture of the Year," or perhaps, "The Picture of the Decade." The 21-week-old unborn baby is named Samuel Alexander Armas, and is being operated on by a surgeon named Joseph Bruner. The baby was diagnosed with spina bifida and would not survive if removed from the mother's womb. Little Samuel's mother, Julie Armas, is an obstetrics nurse in Atlanta. She knew of Dr. Bruner's remarkable surgical procedure. Practicing at Vanderbilt University Medical Center in Nashville, he performs these special operations while the baby is still in the womb. In the procedure, a C-section removes the uterus and the doctor makes a small incision to operate on the baby. The editors titled the picture, "Hand of Hope." The text explaining the picture begins, "The tiny hand of 21-week-old foetus Samuel Alexander Armas emerges from the mother's uterus to grasp the finger of Dr. Joseph Bruner as if thanking the doctor for the gift of life." That picture should be shown on every television newscast and run in every newspaper in America. It is a graphic reminder that growing in the womb of his or her mother is a baby. It is not a "glob of tissue," or "product of conception." That pre-born baby is a human being with all the emotions, will and personality of any human being. That picture says it in a way that a thousand words cannot. Little Samuel's mother said they "wept for days" when they saw the picture. She said, "The photo reminds us my pregnancy isn't about disability or illness, it's about a little person." That's what it's always been about. That's what the liberal elite have tried to get us to forget. May this image jog our memories so that we will never forget. Sleep as much as you can …. Get angry once in a while…. There is a very sophisticated calculator already built in to every PC. 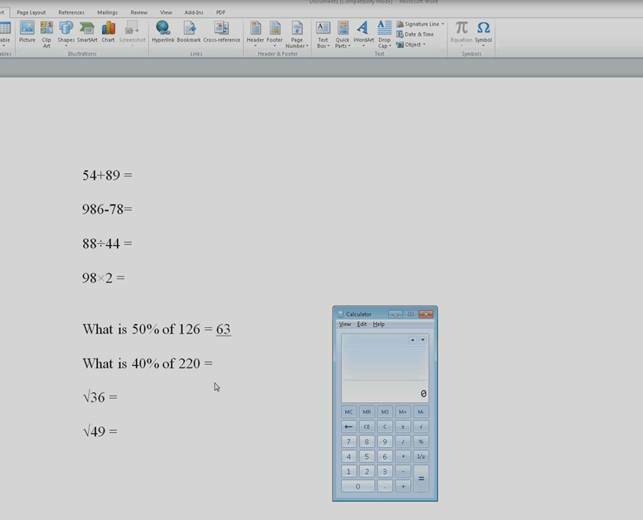 Start your students with learning the basics of adding, subtracting, dividing, multiplying, % and square root calculations on a PC. Both desktop and laptop commands are used in this audio/visual lesson for those who want to see and hear the example of all keystrokes. 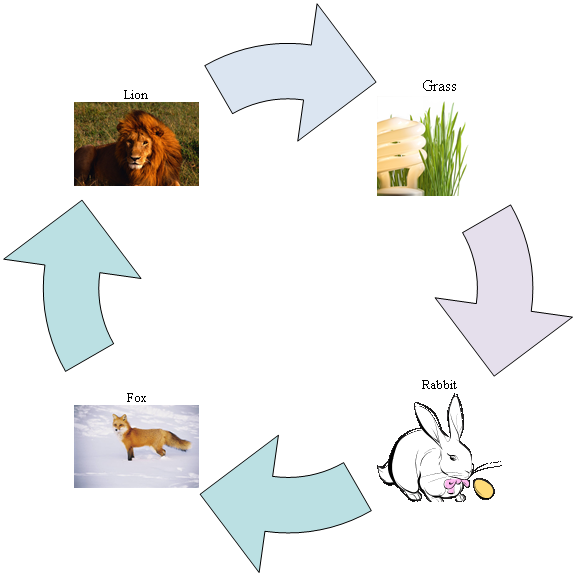 As sighted students go about making fancy graphics for their Food Chain, Food Pyramid, Family Tree, or other diagrams, clicking away with their mouse, adding graphics and colors, our blind students can join in using their talking software. They just need to learn a few tricks. No longer do our blind students have to sit aside and have a sighted person doing most of the work on a graphic or worse, the student doing something entirely different and then their lack of understanding deepens. If our students do not learn how to do the same things, gain the same skills, whether they can see it or not, how are they going to compete for jobs and the highest honors? Our students can do the same–their knowledge base just needs to grow. The reminder came up as a distressed student asked me, "How am I going to do this?" Within minutes the student was enjoying the same features to create an elaborate diagram, using the talking software to guide her. She could use shortcut keys to immediately implement a design or change a configuration to finish the assignment on time. As soon as she was done, she emailed it off to her teacher. The teacher used track changes to correct the work and email it back, in which her talking software read all the remarks. A beautiful A to go with the beautiful diagram. If you push the HOME button and the options start changing on you, or you just can't get the iPad to work the way you know it should, see this lesson on how to move around and reset those options. 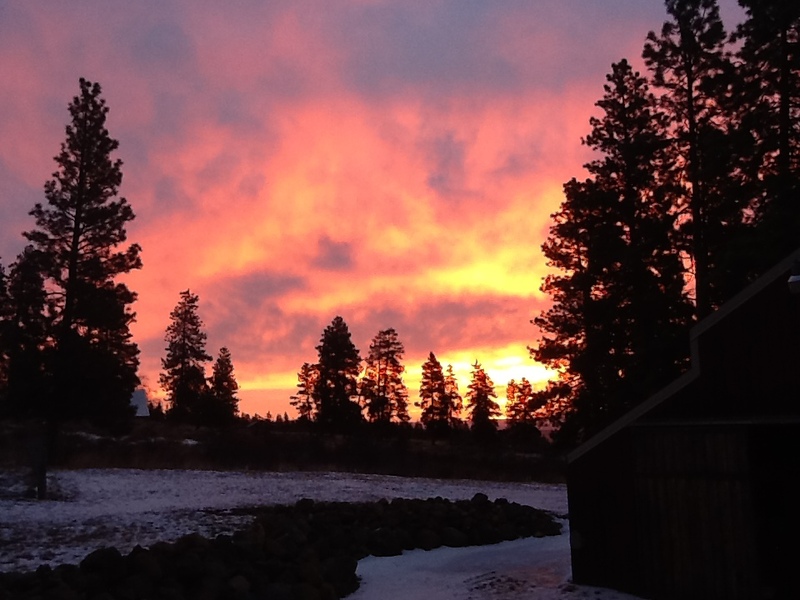 When I was young, my dad would always point out the sunsets every night with such joy. Every morning I would watch the sunrise as I drove the tractor around the fields and would think “How beautiful” but not fully realizing the meaning of it all. As a typical teen, I was caught up in what I THOUGHT was important—how I looked and what I had. For the last decade I know what my father was trying to show us—it IS the simple things in life that make the difference. The simple incredible beauty of each morning as I hike with my dog and watch the sunrise; during the summer, the stars are so close and large, gazing down at us, almost as if I could reach out and grab one; or during the harvest moon, so voluminous and glowing that it swallows up the dark. It startles me and brings me to tears many times, as I see the wonder of God. During the day, I get to hear the simple laughter of a child, a friendly hello, receive and give a warm hug. The time I sit out on my porch with my husband and we watch the animals play in the grass, leaping at bugs and floating dust and twirling in circles to see how many things they can attack; The loving wet kiss of our dog over the cat’s head, then the cat coming up for more kisses from us—slobber and all. Children playing water games, spraying each other in the heat of the summer as the animals chase them. It is the simple things that make us so happy. You buy an expensive item and it makes you happy for the time of the purchase then miserable as you make the payments on it; it is temporary. It is not the stuff that makes us happy…it is the simple things: the sunrises and sunsets, the smiles, the warm hug from a child or from an animal- wets kisses and all, good friends, being thankful and grateful. Put energy into the things that will have a lasting effect and make a difference! For children who need help in learning how to speak, Tap to Talk could be your answer.